A simply gorgeous addition to any home or business. 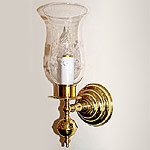 In high polish brass, this amazing reproduction colonial wall sconce features crystal clear hurricane shades. 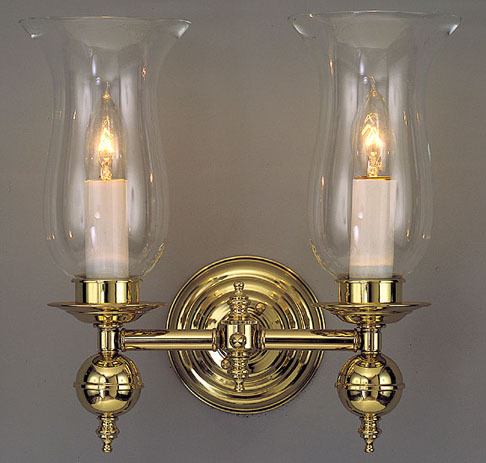 Reminiscent of the olde style wall lanterns one might have seen in the homes of the upper class. Great for the dining room or hall. Many other custom options are available. Width 12 In. / Projection 6 In. / Depth 13 In.